Since 2013, Nesta and the Office for Civil Society have been been working in partnership to increase the availability of volunteer-led tutoring within schools, in order to improve the education attainment of disadvantaged pupils. This includes backing several innovations through the Centre for Social Action Innovation Fund, and working with partners to develop a schools-led model of volunteer tutoring. We know that there is a small but growing number of organisations that provide volunteer-led tutoring to pupils from disadvantaged backgrounds, in order to increase education attainment. The evidence shows that the approach works. We also know that some of these organisations have struggled to make their model work in geographical areas where there is not a ready supply of skilled volunteers, including, rural and semi-rural areas, as well as coastal towns. At the same time, there is an ever-expanding field of commercial companies using technology to match paid-for tutors with students remotely. It’s a solution that can be cheaper than face-to-face tutoring, have a greater course completion rate and connect highly skilled tutors to students in geographical areas where there is a limited pool of appropriately qualified tutors. But it is less likely to be used by students from a disadvantaged background. We want many more pupils from a disadvantaged background to benefit from volunteer-led tutoring, particularly if they are living in geographical areas where volunteer tutoring programmes struggle for the lack of suitable volunteers. We think online volunteer-led tutoring has the potential to improve educational outcomes for disadvantaged pupils, particularly those living in geographical areas where there is not a significant supply of skilled volunteers. Nesta now want to support a small number of organisations with a track record of using volunteers to tutor pupils, to develop or expand scalable models of online volunteer-led tutoring. For organisations whose model is already online, we will support them to scale their operations to other parts of the country. For those that currently deliver offline models, we will support them to develop an online service as an alternative and/or enhancement to their offline offer. 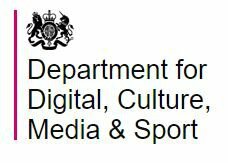 We would expect our funding to be used for these organisations to use existing technology (for example, Skype or Google Hangouts) to test their model rather than fund the development of new technology. We anticipate that we will fund three or four organisations for two years, with grants of between £75,000 and £150,000. This includes costs for evaluating the impact of the work. Jed is a Programme Manager in the Education team at Nesta. Creating an online model for volunteer academic tutors to support disadvantaged students. Modelling an instant messaging tutoring service for maths. Independent language learning with the help of online mentoring.